For adults and children alike, adding braces to your daily oral care routine can be a challenge. Techniques for brushing, flossing and even eating all change. But it doesn’t have to be difficult! Brush after every meal for 2 minutes, pointing the toothbrush bristles at a 45 degree angle toward the gumline. Be sure to brush the top and bottom of the orthodontic wires. Ask your orthodontist about special brushes that are designed to clean around braces. Flossing is a multi-step process. Using a floss threader, thread floss under wire. Gently insert the floss between your teeth. Curve the floss into a “C” shape against the other side of the tooth in that same space. Gently pull the floss back through the wire and thread the next tooth space. Repeat flossing through all tooth spaces. 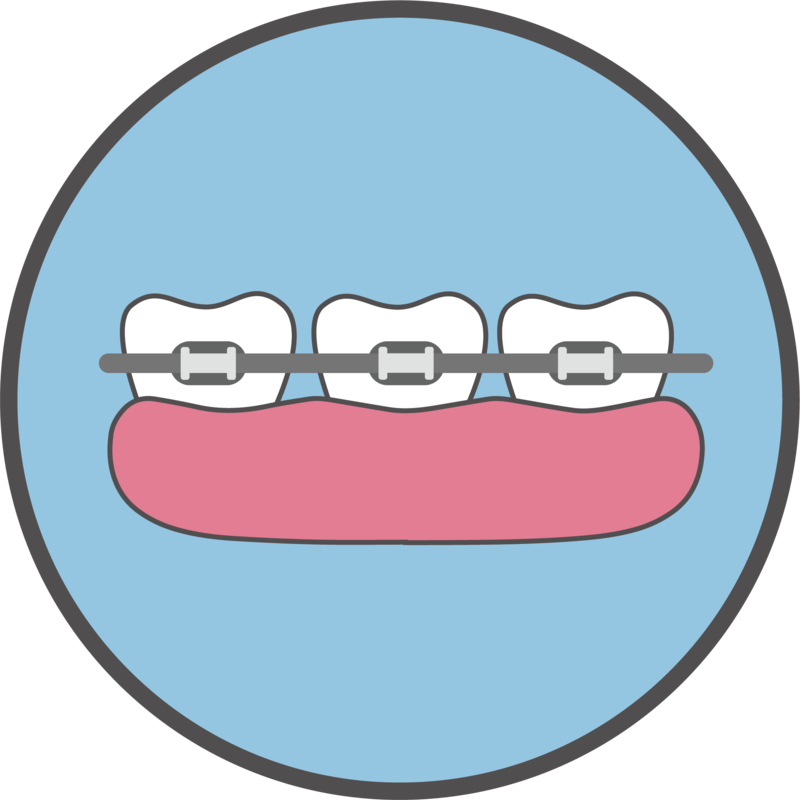 Ask your orthodontist about other items that may make flossing through braces easier. Raw, sticky and crunchy foods should either be avoided or eaten carefully. Harder foods, like raw vegetables, can damage your braces and may be better if eaten after they are cut into smaller pieces. Sticky foods like caramel, gummy candies, taffy or chewing gum may get stuck in your braces and damage them, and crunchy foods like popcorn, hard pretzels, chips and more may get lodged in your braces and can cause wires to snap. Check with your orthodontist for a complete list of foods for you to avoid. Wearing a mouth guard while playing sports is important for everyone, and especially for those who wear braces. Call your orthodontist immediately if a wire, bracket, or other part of your braces feels loose or breaks.